Hi Jeff, thanks for sharing. People usually think that successful apps or startups are overnight successes, even when they’re in the same industry which is weird because they should know all about the struggle. Thanks @sylvainww you’re right. 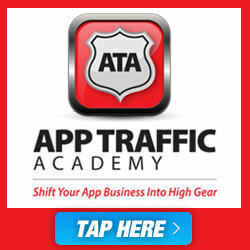 As app marketing gets harder and harder – because of the number of apps – overnight successes will rarely happen. The apps that win will be the companies and developers who a) build and continue to iterate their apps based on user feedback, and b) market their apps for the long haul.